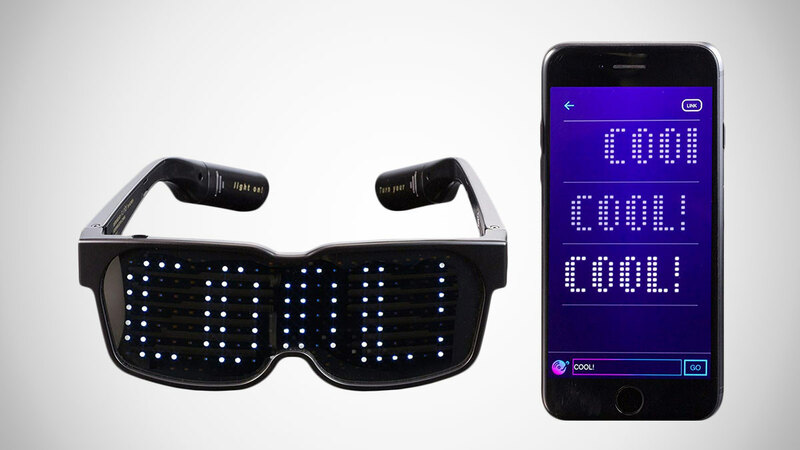 The eyes are the window to the...next EDM dance party with this pair of customizable Bluetooth LED glasses. Festivals, Halloween, sporting events, anywhere you want to make a lit-up statement serves as a fine locale for letting your shades get loud with text, drawings, or animations. 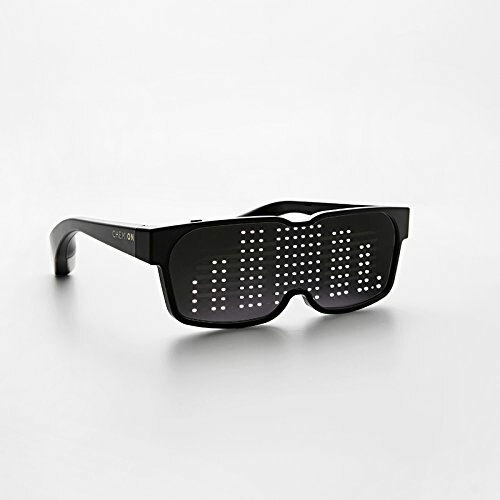 The LED glasses pair via Bluetooth to an app that controls their light grid. Within the app you can type in custom text or images to appear across your lenses. 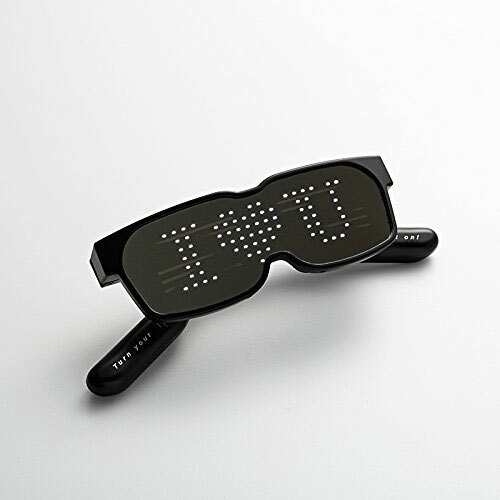 The glasses can store up to 5 messages at a time, accessible for cycling through with a single button. There's also a graphic equalizer function able to capture nearby sounds and music and replicate it as bright flashing bars of light.